Offering you a complete choice of products which include decorative front door and decorative laminated flush doors. Backed with huge industry experience and market understanding, we are involved in providing a wide variety of Decorative Front Door for our valued patrons.We are a trusted company involved in offering the best quality of Decorative Front Door. 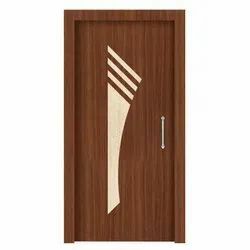 We are offering an excellent quality range of Decorative Laminated Flush Doors. These doors are laminated with high pressure laminated sheet of 1mm. Laminate doors are available in board range of design option using high quality laminate sheet for zero maintenance and long life. Our high pressure decorative laminates are substantially more sophisticated and detailed than low pressure laminates offering subtle textures and dynamic contrast.